Ingebjørg’s background as an architect is versatile. She graduated from the Oslo School of Architecture in Oslo in 1990, and has worked on projects both in Norway and abroad. 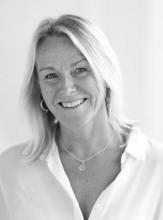 For two years, Ingebjørg was the Chief Architect of Asker Municipality, and with the Norwegian Refugee Council she worked on rebuilding houses and schools after the Tsunami in South- East Asia in 2004. Since 2006, Ingebjørg has been with Snøhetta as a project manager with responsibilities for complex tasks. She has led many large projects, where her profesional strength lies in her ability to apply Snøhetta’s philosophy and tradition. Since 2011, she has been in the management of Snøhetta Oslo AS, where her responsibility surrounds acquisition and tasks related to the selection of new projects, competitions, and representation.